This letter was written by Joseph Clifford Osborn (1833-1915), the son of John Osborn (1784-1839) and Sarah (“Sally”) Cole (1791-1874). 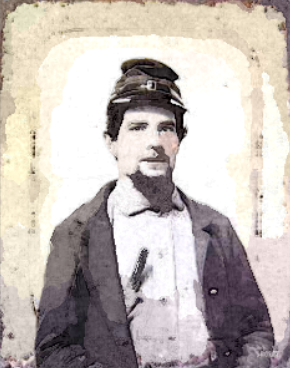 Joseph enlisted in October 1861 as a private in Co. A, 37th Indiana Infantry. It appears that Joseph was detached from his regiment and serving as a head nurse in the U. S. Army Hospital in Cincinnati, however, by the fall of 1862. Nothing more could be found on his service record. Joseph was married to Ruth Ann Porter (1837-1894) in September 1855. After the war, he and his family moved to Missouri and then to Kansas. Alden wrote this letter to his sister, Jemima Cole (Osborn) Alden (1822-1878). Jemima was married in 1841 to James Chester [“J. C.”] Alden (1822-1884) of Milan, Ripley County, Indiana. J. C. enlisted in Company B, 52nd Indiana Infantry in February 1862 and was promoted to First Lieutenant in September 1862. 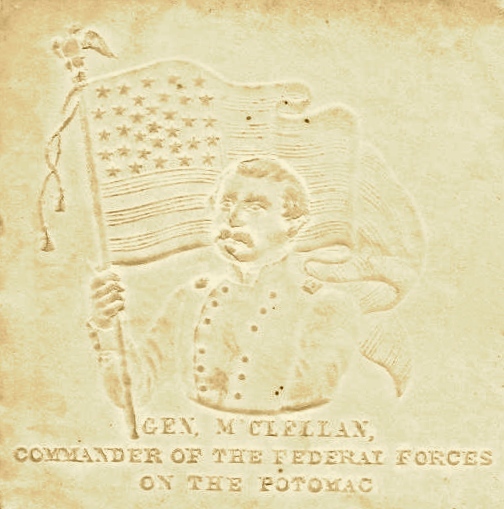 He was further promoted to Full Quarter Master in April 1865 and mustered out of the service in Montgomery, Alabama in September 1865. 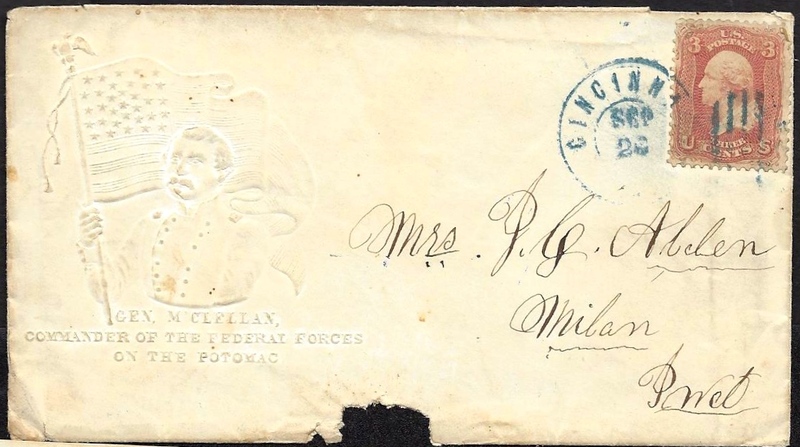 In the letter, Joseph mentions receiving a letter from their sister Mary Catherine Osborn (1835-1907). Mary was married to Basil [“Baze”] Williams (1822-1868) in 1850. He also mentions their sister Sarah Jane Osborn (1820-1866) who was married to James Herndon (1827-1920) and residing in Ripley County, Indiana. Joseph wrote this letter while working as a hospital steward at the West End Military Hospital in Cincinnati. This hospital was opened in a large schoolhouse at the foot of George Street by the U.S. Army in March 1862. A report in 1862 claimed that the West End Military Hospital had three spacious wards, the largest of which was 75×43 and 16 feet high, having windows running to the ceiling on four sides. Each ward was equipped with a a bath-room supplied with hot and cold water; a water closet on the outside of the building, and appropriate washing apparatus. They were “neatly and effectively furnished.” The basement was said to be large and dry and partitioned into store rooms and a “dead room” for the deceased. Typhoid fever and Typhoid Pneumonia are given as the prevailing diseases in 1862, followed closely by chronic diarrhea. Up to 150 patients were housed in this facility. I have been looking for some time to hear from you by letter or person but have been disappointed until I saw Mrs. Secress [Secrest?] yesterday. She told me you were all well and you thought of going to see James as soon as the River was clear. I am in hopes that will soon be for I have wrote to James and Chet but have not received one from them as yet. I think the rebels must soon give up the war as we shall kill all of them soon as they have got up North once more so our forces can surround them. I am well as usual at present and think of coming out soon to see you all once more before cold weather. I received a letter from Rut since she left but I did not think she was going to leave so soon when she left here. But as she is gone, perhaps it will be better for you this winter. We have some of the wounded from Richmond, Kentucky. I had to help take off some of their arms. We also have some sick with typhoid fever. Times are very dull here at present. We have plenty of soldiers over the river to guard Covington. I want you and James to write and let me know how things are going on. I have not got my money yet nor my papers from the regiment. I have not time to write much. I had a letter from sister Mary but have not answered it. She says she would come but Basil can’t spare the money this fall. She has been sick so she keeps her bed. I think I will see her [&] Basil before long if nothing happens to me. Tell sister Jane to write to me as I have but little time to write letters to anyone as they keep me close to work. I have not been out of the hospital but twice since Ruth left here so you see how it is and we soon for some more soon. Tell Gran ¹ to stay at home for they cannot draft him as his father and brother has both gone to the war. Most of my nurses have been discharged and gone home so I have to train new ones. I believe I have told you all the news this time, so nothing more. ¹ James Granville (“Gran”) Alden (1843-1917) was the second eldest son of James Chester Alden and Jemima Cole Osborn. Granville’s older brother, Samuel Cluster Alden (1842-1908) was a member of Co. B, 5th Ohio Cavalry. This entry was posted on Wednesday, August 27th, 2014 at 8:31 pm	and posted in Uncategorized. You can follow any responses to this entry through the RSS 2.0 feed. Thank you for posting this. It’s amazing to hear a voice from the past. John and Sally Osborn were my 3rd great grandparents, making Joseph Clifford a 2nd great grand uncle. His father, John, died while felling a tree for his wagon making business in 1839. And his grandfather, John Baldwin Osborn was a sergeant in Lang’s 1st Regiment of the NJ Militia during the American Revolution. Besides his brother-in-law, Joseph had a nephew, David Louis Osborn, that served during the Civil War in the 83rd OH Volunteer Infantry.